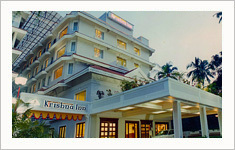 Discover Krishna Inn, perfectly located multi-star hotel at the gateway of the Temple Town of Guruvayoor.When you reach Guruvayoor after a long journey to completely devote yourself to the feet of Guruvayoorappan, you need a fully peaceful mind. Whenever you happen to be in this most famous and oldest temple of God's Own Country, you need not worry about a clean and comfortable accommodation facility. The proximity to the international airports in Nedumbassery and Kozhikode gives Krishna Inn a strategic location advantage. 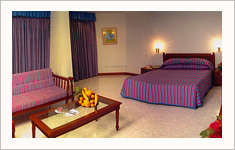 It is 30 kms from the Guruvayoor railway station, 0.5km from Guruvayur railway station, opp. to the pvt bus station and hardly one km from the KSRTC bus stand. 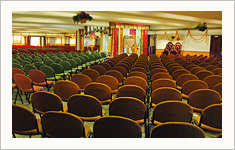 Make Guruvayurappan's Darshan a memorable event with Krishna Inn. 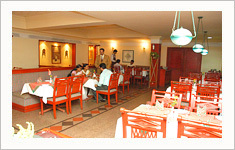 Thulasi, the air-conditioned multi-cuisine restaurant, offers a wide range of a pure vegetarian dishes. Its commitment to quality, customer service, hygiene and cleanliness has helped to establish it as the premier restaurant in Guruvayoor Temple town. Treat yourself to the delectable fare of South Indian, North Indian, Chinese, Continental and Thandoori marvels. 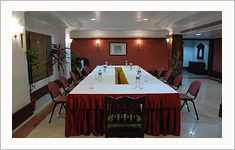 South Indian executive lunch is their speciality. The only 24 hour Coffee Shop in Guruvayoor which serves a complete range of South Indian delicacies, mouth watering, ready to eat snacks, hot samosas etc. The attractive Coffee Shop is ideal for a relaxing coffee and snacks with friends and colleagues. 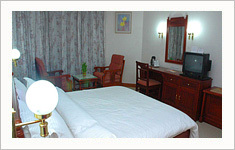 Krishna Inn offers 51 centrally air-conditioned deluxe rooms, suite rooms, generous in space and elegant in design which ensures a comfortable stay with all modern amenities. 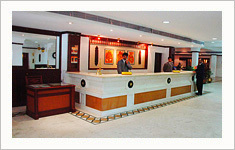 Krishna Inn is committed to striving for excellence and exceeding expectations based on the ancient Indian philosophy that 'Guest is God'. 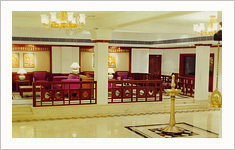 www.kerala.com www.guruvayoor.org www.keralatravels.com Powered By Worldviewer Dot Com (India) Pvt. Ltd.